This article is about the guest star. For the character, see Marv Albert (character). 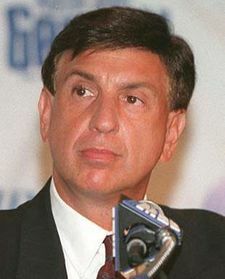 Marv Albert (born Marvin Philip Aufrichtig; June 12, 1941) is an American radio and television sportscaster. He voiced himself in the season 20 episode "The Burns and the Bees". Modified on September 12, 2014, at 05:49.